Hello Aspirants, looking for SSC Entry 52 Indian army recruitment we have a good news for you as Indian army soon will be announcing Applications for married/unmarried MALE Engineering Graduates for 52th Short Service Commission (Technical) Course (commencing in March 2019 at Officers Training Academy (OTA), Chennai) for commission in the Indian Army in all Arms/Services. 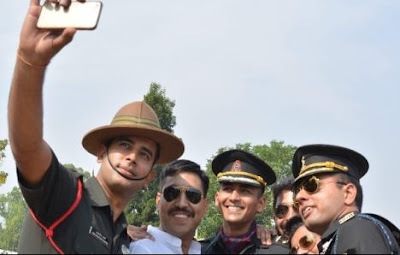 Interested and Eligible candidates can apply online by reading article from the official website of Indian army on or before 09th AUGUST 2018. Feel free to ask below in comments regarding SSC Tech Men Entry. Educational Qualification: Candidates should have passed the requisite Engineering Degree or be in the final year of Engineering Degree course. The candidates in the final year of Degree Course should complete all their examinations related to the degree, like, written, practicals, viva, projects, backlogs, They should be able to produce the Engineering Degree within 12 weeks from the date of commencement of training at IMA/OTA. Such candidates will be inducted on Additional Bond Basis for recovery of the cost of training at IMA/OTA as notified from time to time as well as stipend and pay & allowances paid, in case they fail to produce the requisite Degree Certificate. Attested copy of Engineering Degree/ Provisional Degree Attested copy of Mark Sheets of all Semesters Certificate form the Principal/Head of the Institution stating that the candidate is in the final year and final exams will be over by 2017 for final year appearing candidates of SSC(T) Entry. Interviews will be held in April/May 2017 for both the entries together.